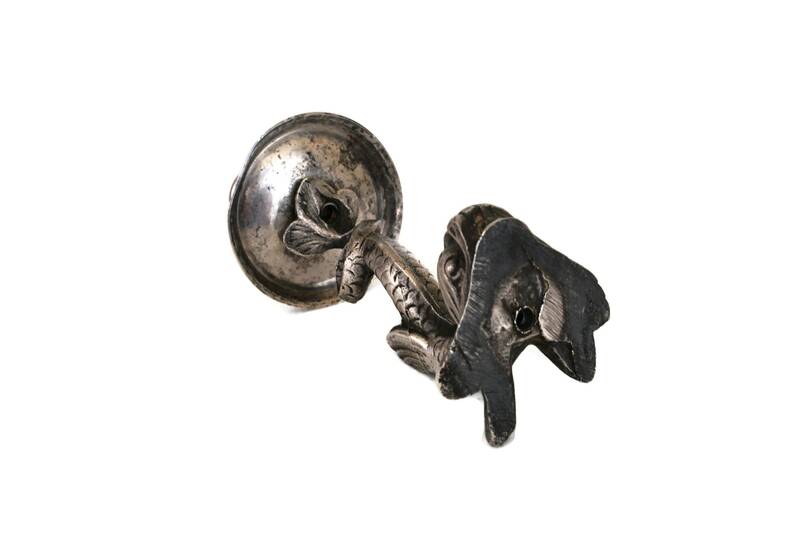 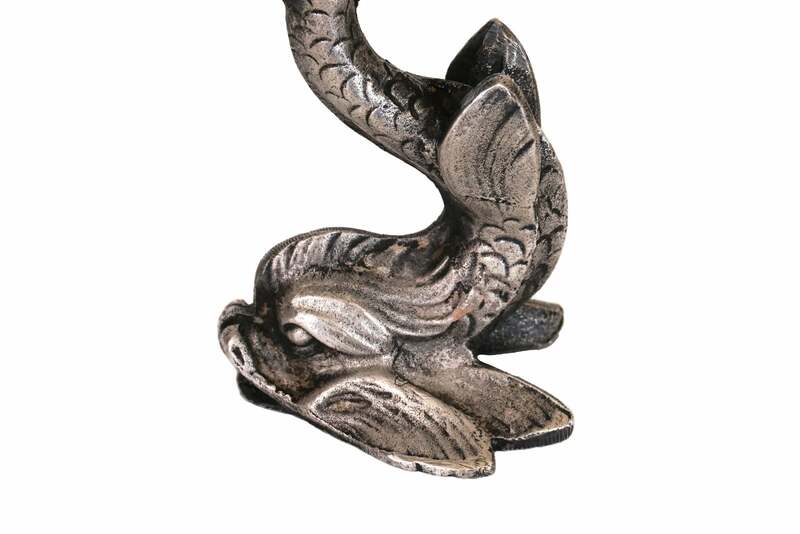 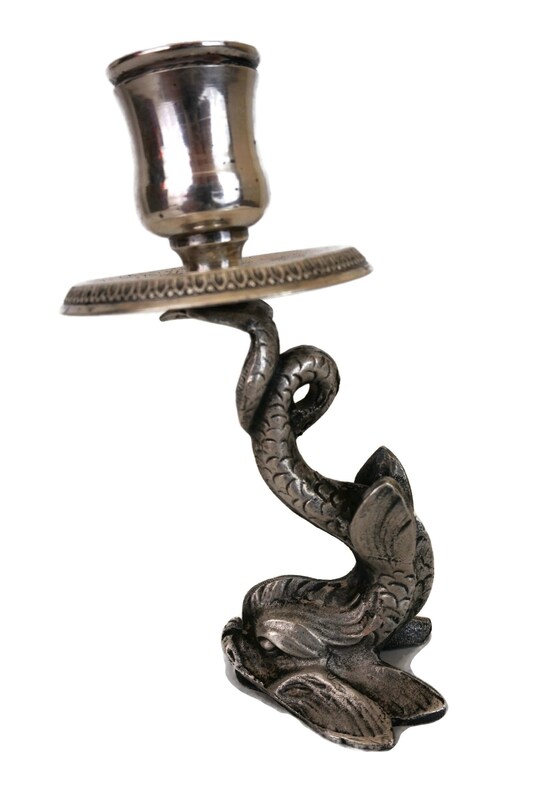 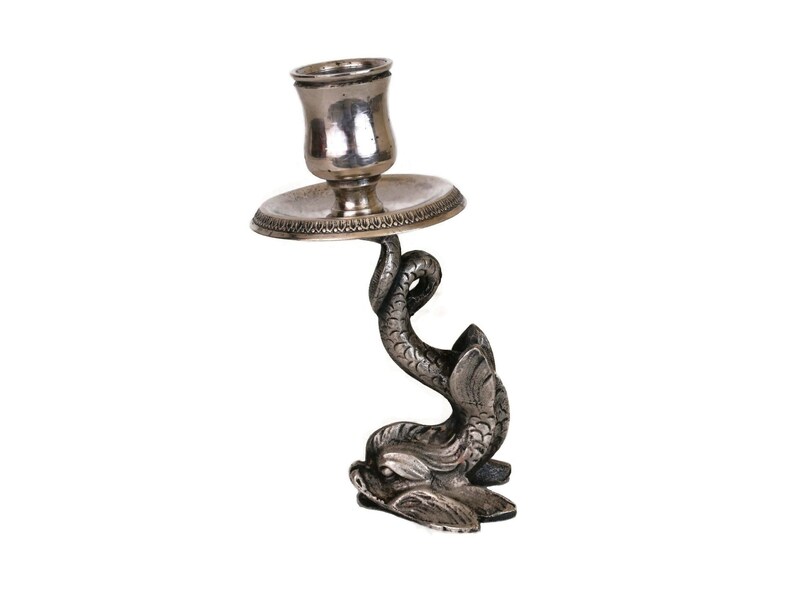 A beautiful antique silver plated dolphin candlestick holder dating from the early 1900s. 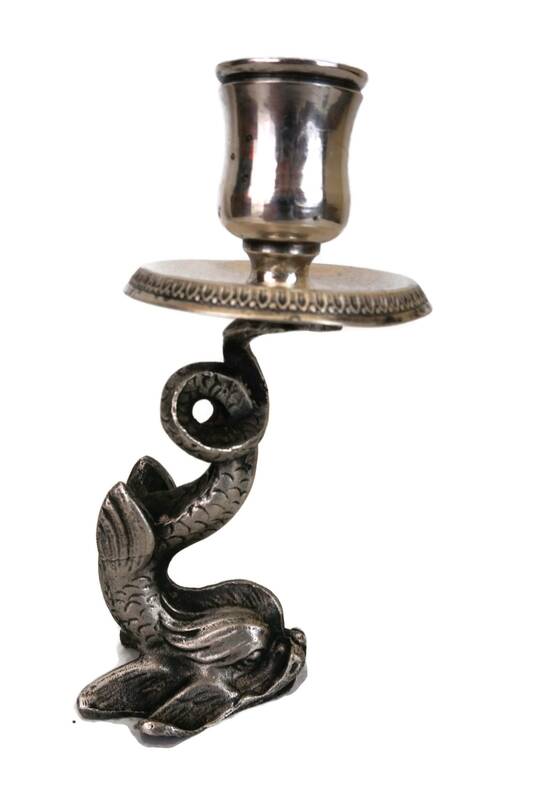 The French chamber stick has been created in the form of a dolphin / Koi fish with a long curled tail holding a round candle holder cap with an ornate rim. 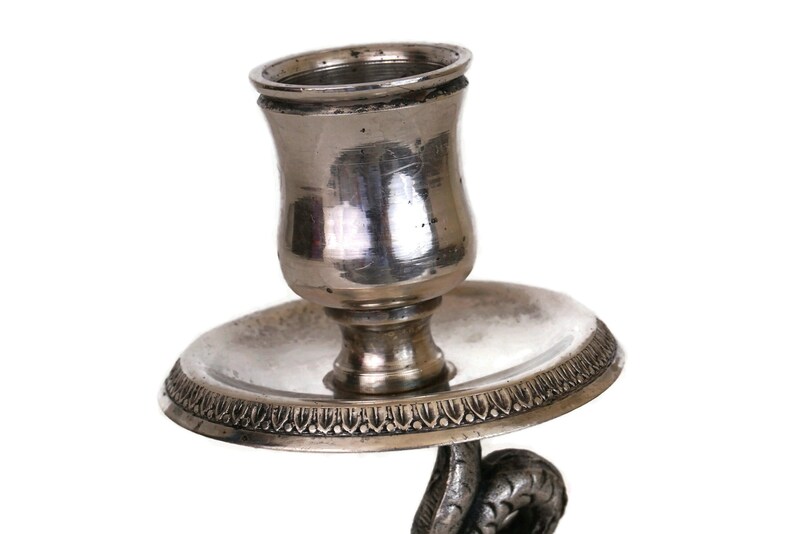 5" Tall x 2.5" Wide (12,5 cm x 6.5 cm). 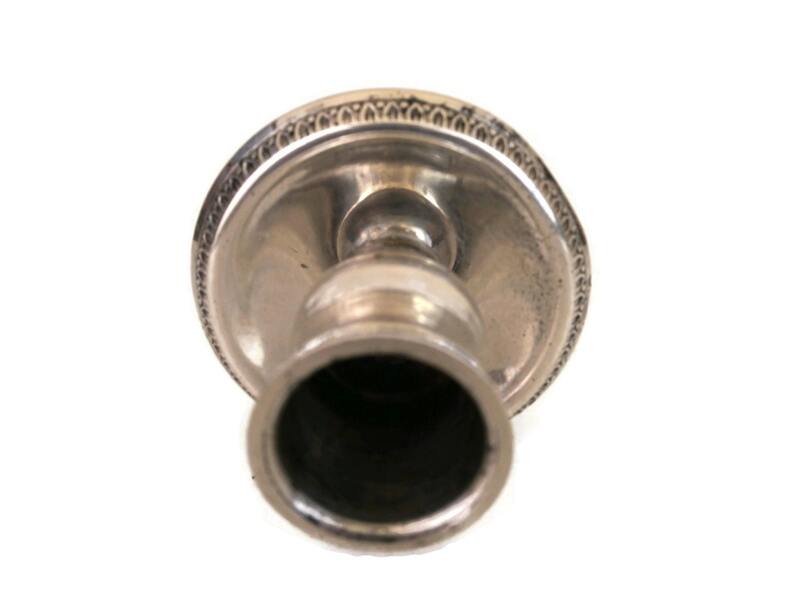 The opening is 7/8" (2,5 cm). 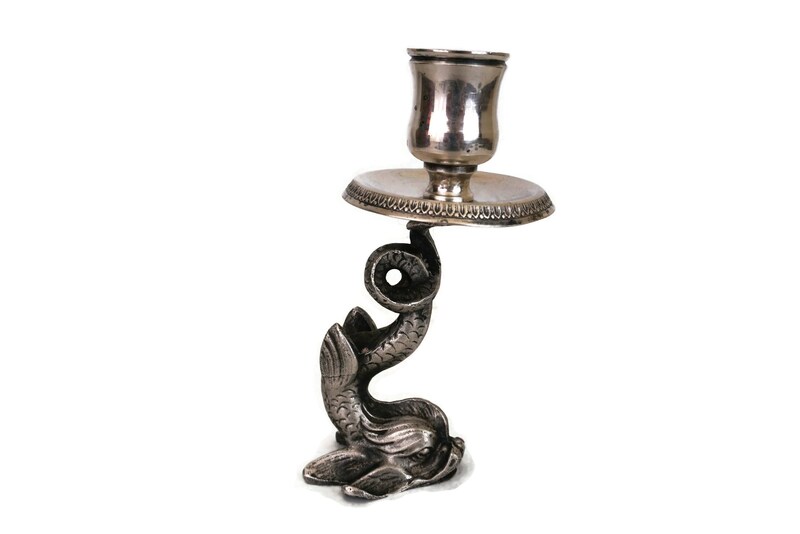 The antique silver plated dolphin candlestick is in very good condition with surface marks and light tarnishing to the silver plating. 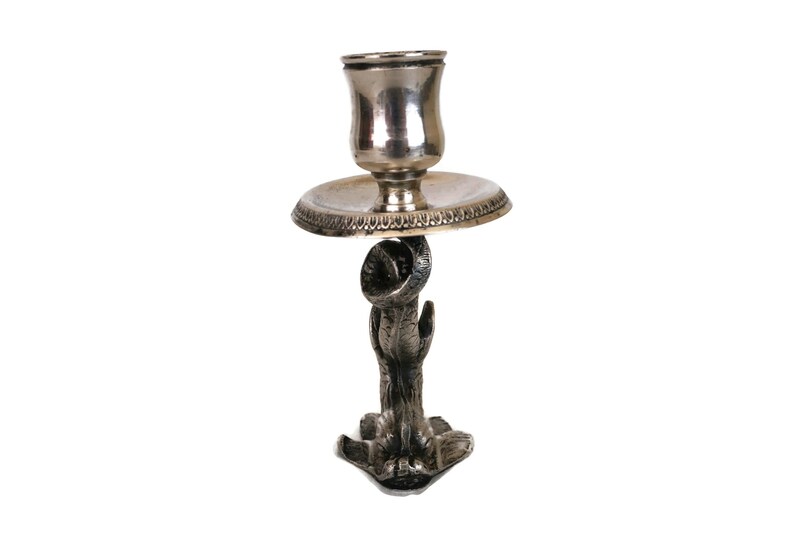 There is a slight dent on one side of the candle holder cap. 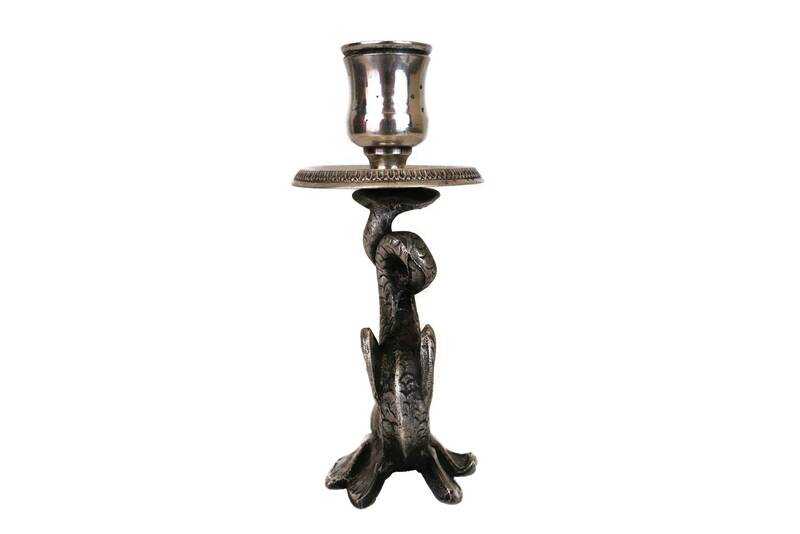 There is a hole on the underside which might indicate that the candlestick holder was originally fixed on a base.